The Sing For Your Life! 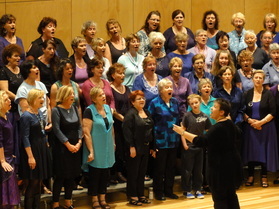 Choir is a Hobart-based community choir directed by Ta-Daa! 's Jane Christie-Johnston. The choir was established in 2005 and since then it has sung at a wide range of festivals, community events, conferences, markets and fundraisers. Guaranteed to lift your spirits with a joyful sound, this a cappella choir sings mainly gospel and African songs. With more than fifty singers performing at your event, this choir will put a smile on your face! To make an enquiry about booking the Sing For Your Life! Choir, please contact us.